Membrane proteins continue to be prime drug targets because they perform essential processes in the cell including controlling the flow of information and materials between cells and mediating activities like hormone action and nerve impulses. The study of membrane proteins could lead to new and improved pharmaceutical treatments for a wide range of illnesses such as heart disease, cystic fibrosis and depression. 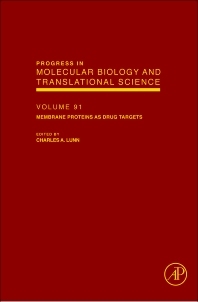 Membrane Proteins as Drug Targets reviews the latest developments in the field.